Why Is My Cat Trying To Kill Me? Purr ... purr ... purr ... BITE. That's how playtime goes for some cat lovers. No matter how many times we tell ourselves these are just "love nips" - and that our cats aren't really trying to kill us - as we break out the Band-Aids and antibiotic ointment, we still sometimes wonder, "What went wrong?" Cats are mysterious creatures who can bite for a number of reasons, and not all bites are the same - some are gentle nips and others are sudden hand-chomps. "Cats are sensitive animals and some may nip because they have limited patience for petting," Adi Hovav, senior feline behavior counselor at the ASPCA Adoption Center, told The Dodo. "Almost no cat will bite out of nowhere - they usually perceive some kind of threat or discomfort that people may not be tuned into until the cat bites." Essentially, cats get overstimulated, according to animal physiologist Erin Willis. "Many cats (but not all) have preferences as to how they want to be petted and when," Willis told The Dodo. "Their owners should respect that and try to learn what their cat's behavior is telling them." Some cats prefer getting stroked incessantly, while others only like affection in little bits at a time, and because cats can't say when they need some me-time, they can sometimes bite to let you know they've had enough love. If your cat gets especially agitated by petting, you can take steps to understand your cat's threshold for petting and teach him to enjoy petting more. The ASPCA recommends this exercise: Keep track of how many strokes it takes until your cat gets agitated. Give her a treat just after reaching her stroke maximum, then ignore her. Repeat this for about a week, then try sneaking in an extra stroke before giving her the treat she's come to expect. This way you can see if she's becoming more tolerant of stroking sessions. Cats also sometimes get bored. To help them funnel their energy in the right direction, and not toward your flesh, toss them a toy when they're pouncing toward your feet or hands. And don't encourage cats to play with your hands - always use a toy instead. 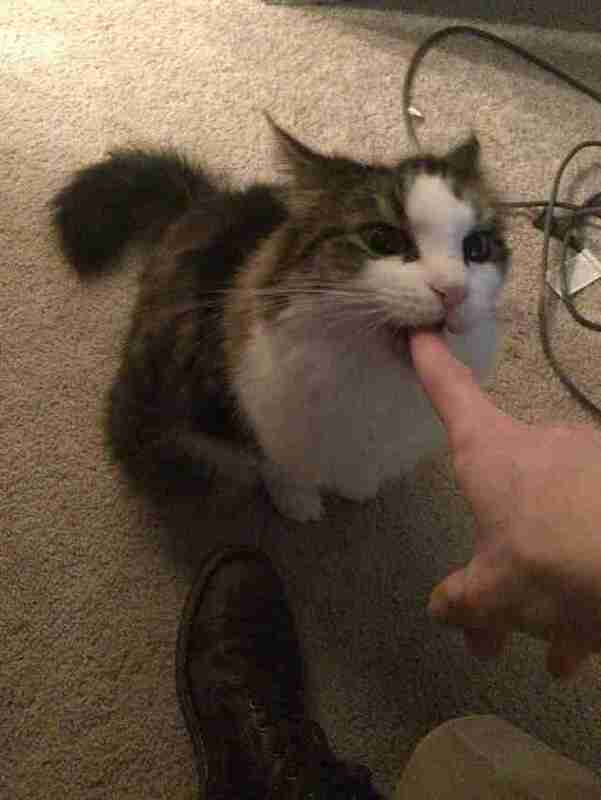 Some cats never learned boundaries as kittens and don't know their own strength as adult cats. This means you have to teach them how to play. "Because they can't speak, cats tell us what they are feeling with their body language so it is incumbent upon us humans to know what they are saying to us," Hovav said. "Cats will typically give a number of hints that they are feeling uncomfortable or threatened before they nip. If you see any tail flicking, skin on the back rippling, pupils dilating, ears swiveling, growling, hissing or a paw lifting as if to swat, these are all ways that a cat is telling you, 'Please stop!'" 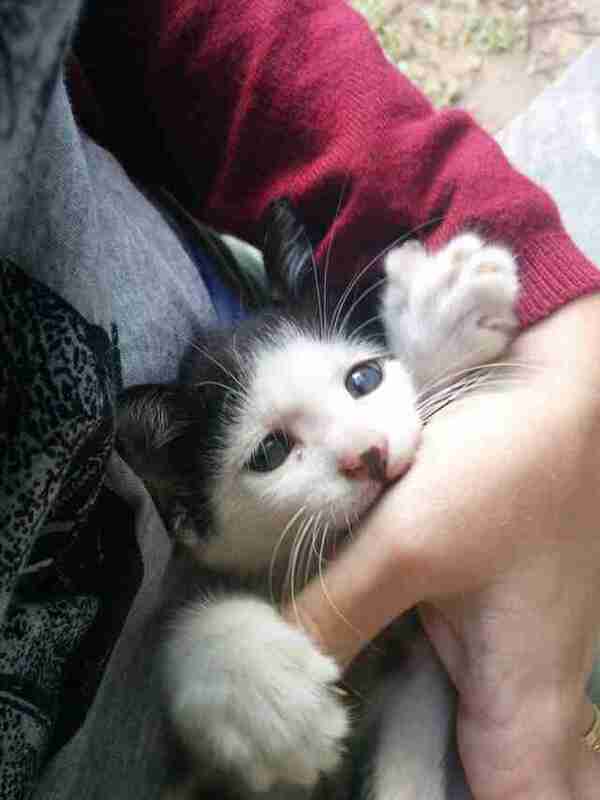 If your cat gets rough often, never get rough back. Instead, give your cat a break from interacting as soon as you see these signs. Leave the room until your cat calms down. This shows them that you have boundaries. 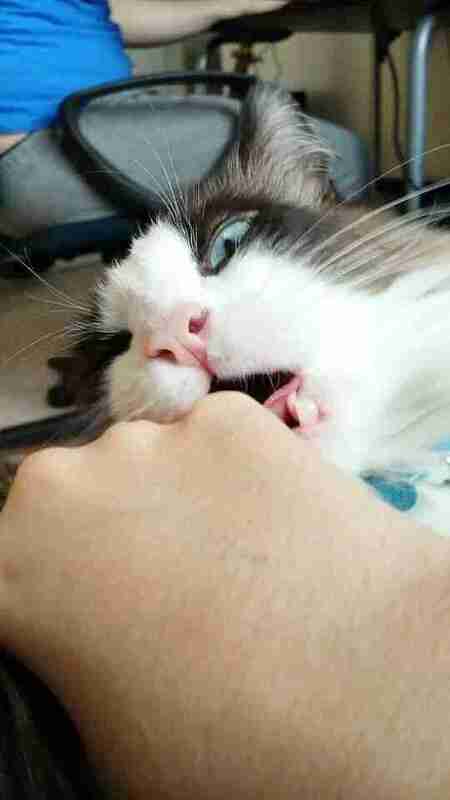 Also, to prevent future biting, don't declaw your cat. 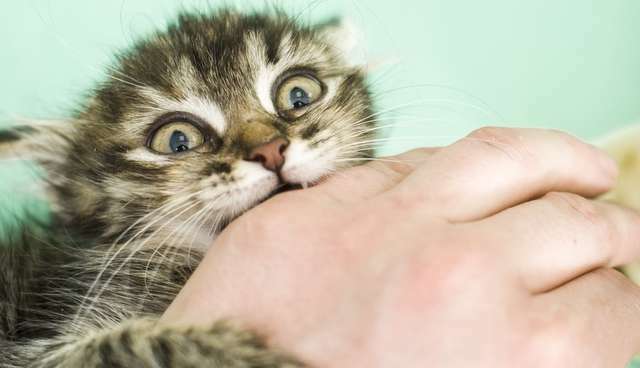 Not only is it cruel, but studies have shown that declawed cats are more likely to bite more often than cats who got to keep their claws. So if you were thinking about declawing, save your paws - and your cat's - the pain. If petting or playtime with your cat habitually ends in aggression, make sure to end hangouts early, so you don't surpass your cat's tolerance level. In other words, err on the side of leaving the felines wanting more love, rather than having more than enough. The most important thing to remember is that cats are individuals with different personalities. Be sensitive and learn your cat's preferences for playtime and snuggle sessions: when, where and for how long. 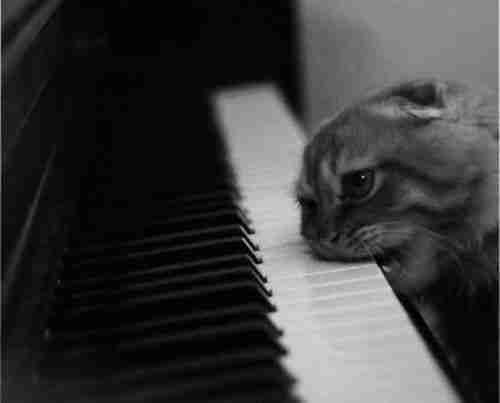 Now, why cats try to kill pianos is a different and much more difficult question altogether.